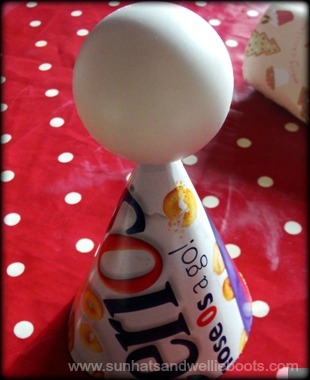 What do you get if you mix an empty cereal box with an old Christmas bauble? A beautiful angel of course! 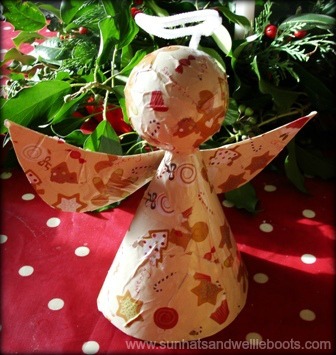 I set out thinking we'd make just one of these, but my girl loved making them so much that we currently have two angels in our living room & another (waiting for her wings to dry) in the kitchen! 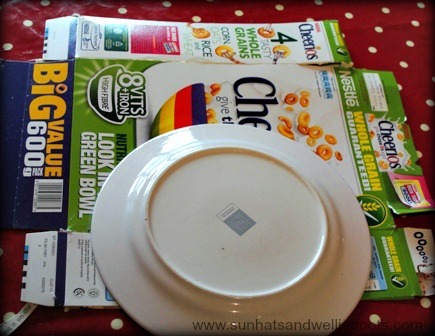 We started by opening the cereal box out, & drew around half a dinner plate to create a large semicircle. 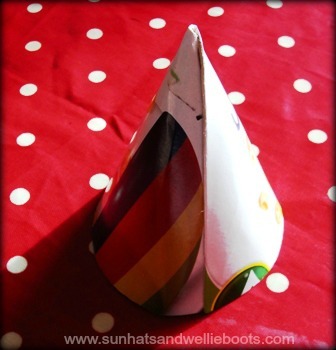 Once cut out, she folded the semicircle round into a cone & sealed with double-sided tape. 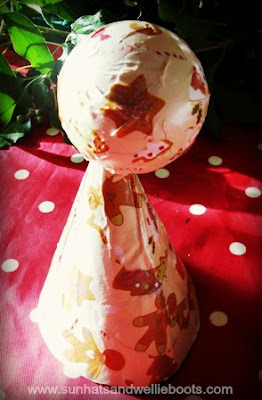 To make a hole for the bauble to sit in we simply cut across the top of the cone, & then placed the bauble in. 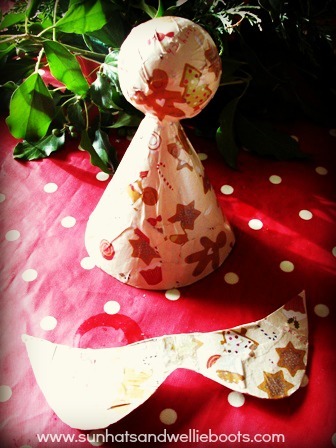 We used some of our saved Christmas gift wrap from last year which Minnie ripped into small pieces (so much fun!) 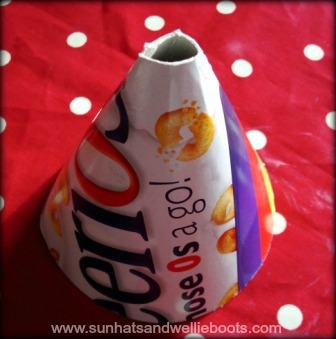 & attached it to the cone using PVA glue. (If you don't have any wrap, magazines would make a great alternative.) 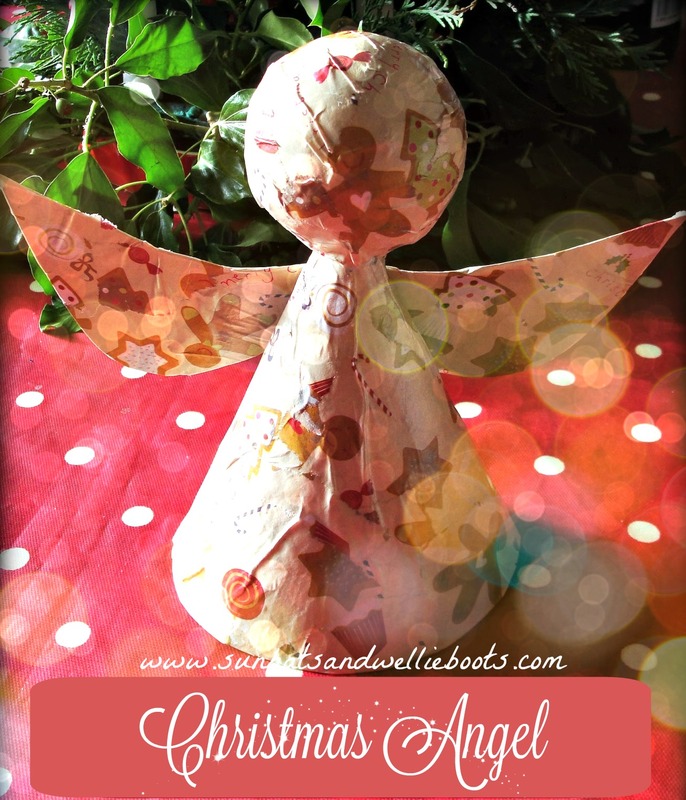 Minnie decorated the angel (in a papier mâché style) & once completely covered we set the angel aside to dry. 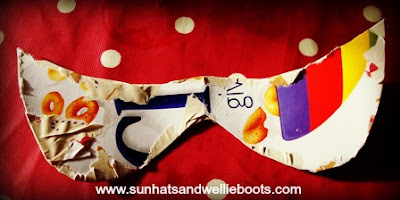 To make her wings I drew a rough wing shape onto the remaining cereal packet & Minnie attached the gift wrap as before, covering both sides. When dry we fixed our angels wings using double-sided tape. A pipe cleaner halo completed our angel & she was ready to fly! I wonder if she'll make it to the top of our Christmas tree, or be used as a table decoration, or perhaps be played with around the house. Hmmm, I suspect the latter!